Marbella strongly holds the position of top destination on the Costa del Sol over the last 10 years. And this fact is proven by almost 2,5 million of tourists coming to Marbella annually. As the result not only the highways are busy during high season but the airports as well and sometimes it is quite a task to find direct flights or decent connecting flights that arrive to Malaga during day time. But this inconvenience could be easily solved with a highly developed infrastructure that has become one of the distinctive features of Costa del Sol and Marbella in particular. 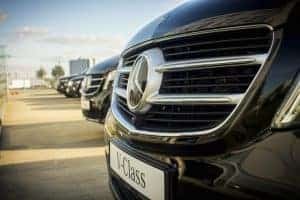 Book your best flight connections and we will take care of your airport transfer to Marbella in style. We are delighted to present Marbella in-Style transfers from each of the mentioned above airports. 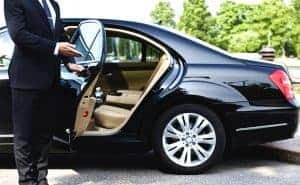 We guarantee you will enjoy your transfer from the very first moment, a booking process will take you less than one minute, your personal chauffeur will meet you at the airport and will drive you safely to your destination. And please be sure you will be indulged with a smooth drive on the coastal road offering you breathtaking views over Mediterranean. Our main goal is to exceed your expectations with the quality of our courteous and discreet services. All our chauffeurs speak both Spanish and english, on your request we may provide Russian, French o Arabic speaking staff. Your personal chauffeur will help you with luggage or any other issue that may occur on the way. We invest our best efforts in what we do. comfortable minibus Mercedes to accommodate bigger groups. All our cars a totally insured, secure and of the latest models. You will be delighted with comfortable and careless private experience. Upon your request we may provide additional options of VIP lounge such as fast track and porter services both for the arrival and departures. Please see our page for more detailed information about Malaga Airport VIP services.